The benefits of the beverage can are well established: lightweight, easily stackable, strong, ... The logistical merits are less obvious, but no less real: from delivery to fillers, retailers and recycling units, and from in store to the consumer’s home. Photo: Can bodies can be stored four pallets high, and each pallet can hold up to 23 layers of 33cl beverage cans. Cans in transit from manufacturer to filler offer environmental and economic advantages in two ways. Firstly, the cubic efficiency in transport and warehousing is unmatched. Can bodies can be stored four pallets high, and each pallet can hold up to 23 layers of 33cl beverage cans (subject to transport height constraints). Secondly, other producers of packaging containers have made progress in making them lighter, but metal cans still weigh much less. Each pallet load may weigh under 200kg, including the weight of the pallet itself. The lighter, compact packaging means a big saving in shipping costs as well as huge benefits in reducing the environmental impact of transporting beverages. A 2016 study by ICF International found that greenhouse gas (GHG) emissions associated with the transportation and refrigeration of beverages in aluminium cans were reduced by 7% and by up to almost 50% in some cases, depending on the size of the cans and the final destination. Where can-maker and filler are situated together, cans are much more amenable to carriage on fast-moving conveyors. Some companies have a policy of “wall-to-wall” production, where the cans are manufactured and filled on the same site, enabling the company to save on transport and curb its associated harm to the environment. Cube utilisation is one of the main elements in optimising the supply chain performance in transport. It helps to keep the transport cost under control and, more importantly, has a significant, positive impact on reducing carbon emissions. Pallet layer optimisation and stacking height on pallets in containers or in warehouses are the key factors in reducing supply chain costs and energy consumption, while increasing handling efficiency. The cost of storage space at canmakers and fillers is also a vital consideration, as cubic efficiencies kick in at the beginning of the process. A pallet can accommodate four times as many filled cases of cans as other alternatives, a major saving for small and town-centre retailers facing high rental costs. In addition, up to 2.5 times as much beverage may be carried on a lorry in metal cans. Canmakers have reduced the amount of aluminium and steel used to produce cans by around 50% in the past 40 years: a 500ml aluminium can now weighs around 16 grams, while a steel can weighs around 30 grams. Transport costs are a function of weight, so this further reduces outgoings and also CO2 emissions. The can is the only container that is fully protected from light and is oxygen-tight, helping to protect the beverage inside. This also makes it easier and cheaper to transport and store. Where the product is to be sold chilled, the metal can and its contents can be cooled more quickly and efficiently than the alternatives. A beverage’s route to market may be a complex one. From a bulk warehouse via primary transport – road, rail or even waterway – to a retailer’s distribution centre and secondary transport (usually on the road). Retail outlets receive, store, move to aisles and stock shelves and merchandise units. The consumer then transports the product from the shelf, through the checkout and then home, where he’ll happily enjoy it. At every point the can scores well. High stackability reduces the number of forklift operations in loading and unloading, high cubic efficiency maximises the use, and minimises the number of trucks and rollcages, and both combine to minimise floor space in warehousing. Cans also optimise use of merchandise units and retail shelves. For manual replenishment of retail space, cases of cans are lightweight, easier to move and stack, and far more forgiving of any clumsiness – the customer too enjoys these advantages. Overall, the superior performance of the metal can in the logistics chain is clear. The ease of handling, cost efficiencies and the comparative environmental benefits combine to make the can the perfect package for today’s refreshing beverages. When we think about GEMÜ, we often – justifiably so – have a picture in mind: Aseptic stainless steel diaphragm valves. The family-owned enterprise from Baden-Württemberg in Germany has enjoyed a prominent position as market leader in sterile applications for the pharmaceutical and biotechnology industries for many years. GEMÜ is very much at the cutting edge of these sectors worldwide. However, the manufacturer's expertise in valves, measurement and control systems goes far beyond this. Plastic valves are inextricably linked with GEMÜ. One of the first valves was made from PVC and has proven to be extremely resistant for over 50 years. Even if the robust range of products, comprising butterfly valves, ball valves as well as globe and diaphragm valves, was rarely at the forefront, it was always there in the background: GEMÜ products have been working reliably in the broad industrial market too for decades – all around the globe. With an advanced, international growth strategy and associated goal to acquire new sales markets in the area of industrial applications, GEMÜ has therefore undergone organisational restructuring. "Our orientation in the market – starting with sales, but also covering product advice right through to product management – has in the past not been sufficiently focused on the industrial market. However, this has now changed," explains Joachim Brien, Head of the Industry Business Unit. "Since 2017, we have been pooling our strengths into one business area in order to be able to better meet our customers' various requirements. By interlinking our sales activities with the specialists from the application and engineering areas, we are creating a competence centre for customer-orientated valves and controls solutions." But what does this mean specifically? If we want to offer genuine advantages, we need to put ourselves in the customer's situation. Only in this way can we offer application-specific, integrated solutions. This is why an international team of 100 engineers and developers, design engineers, product managers and sales employees are working closely together in the Industry Business Unit and specializing in new markets. Industrial water treatment, the chemical industry, surface finishing, mechanical engineering as well as power generation and environmental engineering are the key sectors in which GEMÜ will increase its attention in the medium and long term. All activities here revolve around professional project monitoring by specialists in technical advice and sales. The Industry Business Unit team knows both the markets and the requirements of the customers and uses this knowledge to lay the foundations for innovative, intelligent valve solutions. With two challenging applications on a servo-hydraulic and an all-electric injection moulding machine, ENGEL will clearly demonstrate how process consistency and quality can be combined with efficiency and economy at PLASTPOL 2018 from May 22nd to 25th in Kielce, Poland. The focus is on high-performance machines and automation as well as intelligent control technology that opens up additional optimisation potential for processors. Photo: Thanks to its closed system for toggle levers and spindles, the all-electric e-motion injection moulding machines comply with the strict requirements of the food industry. Maximum force on a comparatively small footprint – this is what ENGEL duo dual-platen injection moulding machines stand for. In terms of footprint, the ENGEL duo 500 is one of the smallest machines in this series and, with a dry cycle time of 2.6 seconds and an opening stroke of 600 mm, the fastest dual-platen machine on the market. At PLASTPOL, an ENGEL duo 3550/500 will be manufacturing engine covers from glass-fibre and mineral-fibre reinforced polypropylene in combination with an ENGEL viper 20 linear robot. Equipped with a new-generation injection unit, the servo-hydraulic duo 500 achieves particularly high precision. Intelligent assistance systems from ENGEL’s inject 4.0 range are deployed to compensate for additional fluctuations in environmental conditions and the raw material. iQ weight control analyses the pressure profile during the injection process and compares the measured values with a reference cycle in order to adapt the injection profile, the switching point and the holding pressure profile to the current conditions for each shot. "This means that we can keep the injected melt volume constant over the entire production period and reliably prevent rejects," says Piotr Nachilo, Managing Director of ENGEL Polska based in Warsaw. "iQ weight control is already widely used by our customers and has proven itself in a wide variety of applications." While iQ clamp control was initially only available for injection moulding machines with electrical clamping units, ENGEL is presenting the new release for use in hydraulic machines of the duo series at PLASTPOL. The software calculates mould breathing in order to determine the ideal clamping force and adapt it automatically. In the production of large-area injection moulded parts, such as engine covers, iQ clamp control opens up a great deal of potential for higher production quality. If the clamping force is too low or too high, this can lead to burn marks or flashes. Last but not least, the third assistance system is iQ flow control. The software networks the temperature control units and the injection moulding machine and controls the rotation speed of the pumps in the temperature control units on demand. The result is significantly reduced energy consumption and the stability of the temperature control process is also enhanced. e-flomo is capable of actively controlling the temperature difference in all individual circuits and automatically setting the required flow rate for each temperature control circuit. Together with its partner HB-Therm (St. Gallen, Switzerland), ENGEL has developed a series of particularly compact temperature control units for this new integrated temperature control solution. By linking the e-temp control units to the injection moulding machine via OPC UA, the development partners have established a milestone along the road to the smart factory. The OPC UA protocol facilitates powerful, platform-independent and above all secure communication, both at shop floor level and with superordinate control systems. For this reason, it is increasingly becoming the standard for the plastics industry. With a second application at PLASTPOL, ENGEL is demonstrating the great efficiency potential of integrated processes. Thanks to in-mould labelling (IML), an all-electric ENGEL e motion 440/160 injection moulding machine with integrated viper 12 linear robot, and IML automation from TMA AUTOMATION (Gdynia, Poland), produces ready-for-market decorated covers for food packaging in a single operation. TMA AUTOMATION is a new ENGEL partner specialising in the automation of IML and downstream processes, such as assembly, quality assurance and palletising, in the general purpose segment in a wide range of industries. Based on a standardised system concept, TMA AUTOMATION implements highly compact and at the same time very flexible solutions. The Polish company has many excellent references, particularly in Eastern Europe. "In many projects, cooperation with local partner companies helps to improve cost efficiency and reduce the lead time for the entire plant," says Walter Aumayr, Head of Automation and Peripherals at the ENGEL headquarters in Austria. As the general contractor, ENGEL handles coordination with the automation partner for its customers and supplies the complete production cell from a single source. This also increases efficiency, as fewer interfaces often mean faster project planning. The number of companies with scientifically recognized climate targets exceeded 100 for the first time in April 2018. The global Science Based Targets initiative (SBT) certifies the climate targets of interested market participants according to whether they are in line with current research and are working to reduce CO2 emissions on par with the standards of the Paris Climate Agreement. Symrise, the globally active manufacturer of fragrances and flavorings, is one of twelve German companies that have participated so far. The Holzminden-based company is ahead of its own schedule when it comes to implementation. In order to have their scientifically based climate targets recognized, the companies submit their plans to the Science Based Targets initiative, whose experts examine them in detail. So far, 389 large companies have undergone this test, including many world-renowned brands. In April 2018, the SBT confirmed the 100th of these plans. Companies from 23 countries are now pursuing science-based climate protection targets. To be approved, interested parties must show that their goals correspond to the current state of research. They must also realize the minimum savings necessary (relative to their sector and size) to meet the global objectives of the Paris Agreement. The initiative is supported by the WWF, the UN Global Compact, the Carbon Disclosure Project and the World Resource Institute – an organization that has been dedicated to environmental protection and resource conservation for more than 30 years. Fifty-seven of the 103 companies verified so far are from Europe. Only a few German companies can be found on this list. Just twelve companies from Germany have submitted their plans to the initiative and only three of them have received confirmation that their goals meet the SBT’s strict requirements. Symrise AG’s goals were approved in July 2017 as the 61st company worldwide. Symrise plans to reduce its own CO2 emissions by 18 percent by 2030. The calculation is based on the values from 2016. The obligation includes Scopes 1 and 2, i.e., the CO2 emissions generated within the company for energy production, as well as those resulting from the purchase of electricity. In addition, the company from Lower Saxony has pledged to ensuring that 80 percent of its suppliers commit to their own climate protection targets by 2020. To achieve the targeted CO2 reduction, Symrise must reduce annual emissions by 5 percent in terms of value added. A much larger step was taken in 2017 – the company’s sustainability report shows a decrease of 7.8 percent. The next interim goal is to halve CO2 emissions in relation to value added by 2030, based on the figures from 2016. Henry’s Hard Sparkling Water is a lightly fruit flavored hard sparkling water with bright effervescence and crystal-clear appearance. With the same alcohol content as a traditional light beer, it’s perfect for drinkers who are looking for a fun, refreshing alcoholic option they feel good about. Henry’s Hard Sparkling Water comes in three natural flavors: Lemon Lime, Passion Fruit, and new Strawberry Kiwi, which is exclusive to the 12-pack variety pack. Henry’s Hard Sparkling Water is supported with a robust national marketing campaign that kicked off at the beginning of April with advertising on networks such as TBS, Food Network, Bravo, USA, TLC and HGTV, a digital presence on Facebook, Instagram, and YouTube, out of home, and traditional print media support. Fans can learn more about Henry’s Hard Sparkling Water and share their experiences with the brand by following @HenrysHardSparkling on Facebook and Instagram and using the hashtag #GoodLightFun. 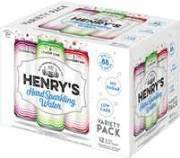 Henry’s Hard Sparkling Water is available at most grocery and liquor stores in 6-pack 12-ounce slim cans and 12-pack variety packs. Danish packaging company, Primoreels A/S, has acquired a new FA flexo press from Nilpeter to increase printing quality, capacity, and efficiency in their production of dairy, water, and juice lids among others, and to meet growing demands from market-leading customers such as Arla Foods and Danone. Caption: Mads Aakjær (left) and Henrik Sahlberg (right) shake hands after Primoreels rang the bell, which marks a press sale at Nilpeter Headquarters in Slagelse, Denmark. “It was natural for us to go to Nilpeter. With their facilities just 45 minutes away, we can count on quick reliable service if need be, and more importantly, we were blown away by the capabilities of the new FA,” says Henrik Sahlberg, Managing Director, Primoreels A/S. “With the new press we are future-proof in terms of capacity and technology – job change time is cut from 90 minutes to less than 10, we can insource previously outsourced jobs, enhance quality for our existing customer database, and approach exciting new markets and industry leaders. We are definitely looking up now, and very excited for what lies ahead,” he concludes. Primoreels’ new FA is a 9-colour, 17’’ flexo press with a double die-cutting unit. The press is configured with three Nilpeter Automation and Application Packages: The Film Package, the Progressive Print Package, and the Automatic Register Package. Three of the printing units are fitted with colour pumps to speed-up the flow and output on the more frequently used colours. Once installed in July 2018, Primoreels will produce sealable lids on a range of flexible substrates – mainly PP and PET plastic with integrated barriers and pure thin foils (23-36 my). The New FA, Primoreels’ second Nilpeter press, will help increase flexibility and run sizes at the production plant west of Copenhagen. Their first Nilpeter press, an FA-2500, will remain in production. ENGEL is continuing to grow. For the fourth time in sequence, the injection moulding machine builder and system solution provider based in Schwertberg, Austria, was able to increase its annual revenue. At the end of March, the group of companies concluded the financial year of 2017/18 with revenues of 1.51 billion euro, an increase of 11 percent versus the previous year. Photo: At ENGEL's company headquarters in Schwertberg, Austria, construction will continue until this autumn. The new construction will expand the northern production hall built in 2013. The new customer technology centre will be located above the assembly area. "The production plant in Shanghai alone sold around 20 percent more machines in the 2017/18 financial year", reports Dr. Christoph Steger, CSO of the ENGEL Group, at the beginning of the Chinaplas plastics trade fair, end of April 2018 in Shanghai, where ENGEL informed the international trade press about the 17/18 financial year. Asian markets continue to have a large share in the success of the ENGEL Group, with demand especially increasing in China. "The investment climate in China is at a new high", says Steger. In the Shanghai plant, ENGEL is building large-scale machines of the dual platen series duo, which are used in the automotive industry, among others. "The automotive industry in China continues to be the most important driver of growth and innovation", says Gero Willmeroth, President Sales and Service at ENGEL Machinery Shanghai. ENGEL in particular has grown disproportionately in the automotive lighting area. "Our customers are increasing their investment into innovative process technologies that allow them to achieve higher efficiency, productivity and quality." One example of this is the optimelt technology, which ENGEL is presenting at its trade fair booth. In the manufacturing of thick-walled LED lenses, the patented multi-layer process with external cooling significantly reduces the cycle time, at the same time ensuring a high degree of optical quality. Whether lenses made of PMMA or polycarbonate glazing components, the substitution of materials in vehicle manufacturing aims primarily to reduce weight. Electric vehicles in China are on the rise and accompanied by innovative lightweight technologies. Until now, the focus of processors in China has been on substituting glass on the one hand and foam injection moulding on the other; composite technologies are still in the early stages. "Our customers use trade fairs such as the Chinaplas to learn about the possibilities of the wide-scale use of composite materials in automotive manufacturing, and to gauge the feasibility of new composite processes for the automotive large-scale series," states Willmeroth. "China is setting the direction and ENGEL is at the forefront here. Internationally, ENGEL is already one of the preferred partners of the automotive industry." In 2012, ENGEL established its own technology centre for lightweight composite technologies and since then has been able to achieve several significant milestones in cooperation with its development partners. At the Chinaplas 2018, ENGEL is introducing series-ready technologies for the economical production of composite components and, in addition, is providing insights into ongoing research projects. From a single source, ENGEL delivers individual injection moulding machines as well as integrated and automated system solutions, the share of which in worldwide orders continues to increase. Developing made-to-measure injection moulding solutions requires a deep understanding of both the technology and the industries, which ENGEL ensures through its Business Unit structure. ENGEL employs dedicated teams for the automotive, technical moulding, teletronics, packaging and medical industries, respectively – and this not only at the company headquarters in Austria. Last year, ENGEL also established a Business Unit structure with dedicated Business Unit managers in Asia, and has since then been continuously increasing its industry know-how locally. "With this new structure, we are continuing to expand our market position in all five business areas", reports Steger. "The feedback from our customers is very good. In many cases, we can respond even faster to requirements and requests, and support our customers in solving their very individual challenges in an even more targeted fashion." In addition to automotive, in Asia ENGEL has increased its sales in the medical area, with health care and diagnostics being the main growth drivers, For these applications, ENGEL delivers all-electric e-motion injection moulding machines as well as hybrid machines of the e-victory series, which are produced for the Asian markets at the ENGEL plant in Korea. "In the medical area, we are seeing a trend to multi-cavity moulds, which require larger injection moulding machines to increase throughput", reports Willmeroth. ENGEL is also increasing its personnel in Asia. The ENGEL Group is currently employing a total of 950 people in its Asian production plants and subsidiaries, which is more than 20 percent more than last year. ENGEL Machinery Shanghai currently has a headcount of 490 employees. In the previous financial year, new employees were added primarily in the Business Units, service and training. For the 18/19 financial year, ENGEL has posted additional vacancies in Shanghai as well as all of Asia. In the context of the plant expansion that was completed in September 2017, ENGEL constructed a new, larger training centre and hired a dedicated training manager. Together with his team of experienced trainers, Boris Wen is continuing to expand the seminar and workshop offering for customers in China. At the beginning of the new financial year 2018/19, the ENGEL Group is employing 6,600 people worldwide – more than ever before. More than half of these (3,700) are working in the three Austrian plants. As compared to the previous year, there has been a slight shift in the distribution of the 1.51 billion euro in worldwide revenue. America has increased by 2 percent, to 26 percent. With currently 53 percent, Europe still represents the lion's share. Asia is at 20 percent. From the worldwide perspective, North America – USA, Canada and Mexico – and Asia are the primary growth drivers for ENGEL, with South America also picking up speed. In Europe, Germany remains the strongest sales market and also the most important driver of innovation. From the perspective of the industries, the strongest growth worldwide is in the packaging area, followed by technical moulding. With the largest investment programme in the company's history, ENGEL is ensuring that the growth of the company extends into all regions of the world. For a total of more than 375 million euro, by 2020 production plants worldwide will be modernised and their capacities expanded. The expansion of ENGEL Machinery Shanghai was completed in time for the ten-year anniversary of the plant in September 2017. First of all, the existing office building was lengthened to add another 1,000 square metres of usable space. In addition, a new production hall was constructed, complementing large machine production by 1,600 square metres. The training workshop is also being newly constructed. For the apprentice workshop alone, ENGEL invested just under 1 million euro. It is equipped with state-of-the-art machines to optimally prepare the apprentices for their future profession, and it is also significantly larger than the previous one because since the beginning of ENGEL's apprenticeship programme in China, the number of apprentices has increased considerably. Currently in Shanghai, 51 young people are being trained as mechatronics engineers, CNC technicians and plastics technicians. In the summer of last year, the first apprentices of ENGEL Machinery Shanghai completed their final examinations with good results across the board and were hired as permanent employees. The largest construction projects are taking place in Austria. At company headquarters in Schwertberg, by the autumn of this year the northern production hall there, which was constructed in 2013, will be expanded by 11,500 square metres. In addition, a new, significantly larger customer technology centre is being built. With an investment volume of 160 million euro, the expansion of the large machine plant in St. Valentin, Austria, is by far the largest construction project. In the first stage, last year an additional hall bay was constructed that contains several offices and is otherwise dedicated to machine assembly. A few weeks ago, construction began on the new administration building and the additional expansion of the assembly area, including the tecnology centre. In the course of this work, more space will also be created for the Center for Lightweight Composite Technologies. Nestlé Waters North America announced that its Cabazon and Los Angeles, Calif. factories have received certification against the rigorous Alliance for Water Stewardship (AWS) Standard, with the Cabazon facility achieving an AWS Gold certification – the first facility in North America to do so. Launches 100% Renewable Electricity Symbol on Budweiser Packaging in U.S.
Anheuser-Busch recognizes the huge opportunity it has to help protect the environment and inspire its partners to do the same. As beer is a natural product, a healthy environment is crucial to the brewing process. In fact, 98 percent of the primary ingredients used in the beers Anheuser-Busch proudly brews are grown in the U.S. In conjunction with the announcement of the Goals, Budweiser today launched the 100% Renewable Electricity symbol, which will appear on its U.S. packaging beginning on Earth Day (4/22). The symbol celebrates that Anheuser-Busch, through its partnership with Enel Green Power, now secures 50 percent of its purchased electricity from wind power — more than the electricity used to brew Budweiser in the U.S. each year. The Canadian love affair with hops and barley continues, but more and more drinkers are opting for the grape, Statistics Canada announced in a report on May 9. And that’s not all — Canadians are falling head over heels for the apple too. While beer remained the drink of choice, wine and craft ciders sales grew. In fact, all alcoholic beverage sales were up 2.3 per cent from the previous year as of March 2017, the report stated. Beer sales accounted for C$9 billion of C$23 billion in total alcoholic sales, which mirrored the previous year. But the volume of both Canadian and imported beers decreased, and in British Columbia the market share of total alcoholic sales was the lowest across the country, sitting at 34.4 per cent. Yet wine sales spiked almost four per cent, amounting to roughly C$7 billion. Canadian wine sales outpaced imported wine: The former rose by nearly 7 per cent, while the latter grew almost 2 per cent, the report stated. “Rosé sales are increasing by 50 per cent year after year. It is becoming huge,” Bird explained. Bird said perhaps it’s because rosé has become a cultural phenomenon. However, rosé accounted for fewer than 20 per cent of wine sales. But pop culture is more fixated on wine, Bird added, citing a number of sommelier shows on Netflix. In the past, wine bars would shut down after a year. Now, Bird said they now have an extended shelf life, which is a good indication of consumer behaviour. That wasn’t the case with barley brews: The report highlighted the volume of both Canadian and imported beer decreased from the previous year In fact, average beer sales — measured in volume — have been declining over the past decade. Craft beer is still a crowd-pleaser, said Adrienne Weeks, the manager at Steamworks Fine Wine and Spirits. But wine, spirits and craft ciders are a close second. In particular, ice wine and Canadian whisky are sought after, which Weeks attributed to the tourist season. At the national level, whisky was the most popular spirit sold and the report noted the volume of both Canadian and imported spirits rose slightly. But it’s the rise of locally-made craft ciders and coolers that are “huge,” Weeks added. “Our sales have gone up ridiculous amounts. They’re becoming more creative with all sorts of ciders,” she said, noting their top seller was lavender-infused. The Beer Institute (BI) is forecasting U.S. beer shipments to decline between one and three percent in 2018, chief economist Michael Uhrich shared during the national trade association’s “State of the Industry” webinar on May 10. Uhrich admitted that the projection is “a pretty wide range,” but that’s due to “a lot of uncertainty” and headwinds facing the industry, including tariffs, increased input costs, “falling penetration rates” with new legal-drinking-age consumers between the ages of 21 and 25, and discounting by wine and liquor companies in off-premise retail accounts. Uhrich added that he isn’t expecting the U.S. to fall into a recession in the next two years. That’s an important prediction for beer executives because the industry typically gains about 0.25 basis points of share during a recession. However, that isn’t necessarily good for the industry, Uhrich added, noting beer typically loses about double the amount of share it gained in the years following a recession. According to Uhrich, inflation, which is projected to be about 2.2 percent this year, is negatively affecting beer companies as consumers may be less willing to spend. He added that the industry has likely already seen the benefits of falling unemployment rates. “We can’t expect continued decreases in unemployment to help us moving forward,” he said. However, the news wasn’t all bad. Uhrich said increases in the gross domestic product (GDP) and disposable incomes are likely to help businesses and consumers. Recapping 2017, Uhrich said beer once again lost market share to wine and spirits. Although beer still holds the majority of the share of alcohol servings (49.7 percent) versus hard liquor (34.9 percent) and wine (15.4 percent), the category lost nearly 1 percent of share in 2017. Uhrich attributed some of those declines to wine and liquor companies discounting their products off-premise. On the topic of discounting, Uhrich said price cuts, along with the move from 12-packs toward 15-packs, helped “economy” offerings become the only beer segment to improve its overall performance last year. According to Uhrich, total craft beer volumes (including those brands owned by larger companies like Anheuser-Busch and MillerCoors) grew 1.6 percent in 2017. He added that it was “the slowest growth rate craft has seen in the last 10 years” and that much of the growth came within brewpubs and taprooms, where sales grew 24.2 percent. Both the craft and import segments gained share last year — 0.4 percent and 0.7 percent, respectively. Those gains came mostly from the “mainstream” beer segment, which lost about 1 share point in the U.S., Uhrich noted. Mexican imports, Uhrich added, continued to drive import volume growth. While the segment grew 3.2 percent last year, the growth slowed compared to recent years. Uhrich also said U.S. exports accounted for 3.7 percent of U.S. beer production in 2017. “I expect it to continue growing as export markets becomes a more important part of the business model for U.S. beer suppliers,” he said. Nevertheless, U.S. consumer spending on beer increased about 0.7 percent last year to about $119.3 billion. However, Uhrich said the growth rate has slowed from previous years and price increases by U.S. beer companies have met some resistance. Meanwhile, off-premise channels gained share from on-premise channels, Uhrich said, noting that the strongest off-premise retail sales growth in 2017 came within the grocery channel. Beer sales at U.S. convenience stores also grew. Carlsberg Group has launched a new alcohol-free beer brand called Birell, as the company seeks to capitalise on the growing taste for alcohol-free beverages from European consumers, FoodBev.com reported on May 8. Birell was made available to consumers in Poland and Bulgaria on May 1 in two formats, Pilsner Lager and Belgian Wit, and the brand will be introduced into new markets in 2019, according to the company. Carlsberg says that drinks in the Birell range retain the same taste, mouthfeel and body of regular beer, and are free from artificial ingredients such as colourings and flavours. Figures provided by the company claim that the alcohol-free beer sector has grown 90% over the last decade, and Birell has been created to offer consumers who live an active lifestyle a new option, as the drink also contains fewer calories than regular beer. Shawn Gallegly, vice-president alcohol-free brews for Carlsberg said: “The alcohol-free category has seen huge growth in the last few years as consumers develop greater awareness of the food and drinks they purchase. “2017 was a very good year for our alcohol-free brands, and this year, without revealing the numbers, looks even more promising. “Bringing the Birell launch to the Carlsberg portfolio further adds to our focus on brewing for a better today and tomorrow. With Birell, it’s a positive approach on living more. Whiskey maker Golden Blue will enter Korea’s imported beer market, a diversification by the Busan-based company known for trendy low-alcohol whiskeys such as Sappirus, the Korea JoongAng Daily reported on May 9. Golden Blue said on May 9 it signed an exclusive deal with Danish beer brand Carlsberg to import and distribute its lager products in Korea starting this month. Golden Blue, which in 2009 launched whiskies with lower-than-average alcohol content, quickly became a top-tier player in Korea’s whiskey market, long dominated by imported brands. In 2017, Golden Blue signed an MOU with traditional liquor company Omy Nara to produce its own versions of Korean liquors. “Golden Blue wants to tackle Korea’s imported beer market, which has been showing continuous growth despite an overall decline in alcohol consumption nationwide,” the company said in a statement. Aptar Food + Beverage, a global leader in innovative dispensing solutions for on-the-go drinks in the beverage market, and Cheer Pack North America (CPNA), a leader in premade spouted pouches, are partnering to launch a “No-Spill” Spouted Pouch solution for the North American market. The “No-Spill” Spouted Pouch features Aptar’s SimpliSqueeze® valve technology – a top selling valve system with billions of units sold worldwide– in the squeezable CHEER PACK® spouted pouch. The combination of these two consumer-trusted solutions creates an innovative and fun-to-use beverage package for applications such as juice, flavored water, drinkable yogurt, and more. CPNA is a global partner of GualapackGroup, who together with Aptar Food + Beverage, introduced a premade no-spill spouted pouch solution for the European market in 2017. This unique packaging solution, initially targeted for the juice market, can be efficiently filled and closed using GualapackGroup’s filling lines. A breakthrough in enzyme research led by the U.S. Department of Energy’s National Renewable Energy Laboratory (NREL) and the United Kingdom’s University of Portsmouth has led to an improved variant of an enzyme that can break down ubiquitous plastic bottles made of polyethylene terephthalate, or PET. While working to solve the crystal structure of PETase—a recently discovered enzyme that digests PET—the team inadvertently engineered an enzyme to be even better at degrading the man-made substance. Although the improvement is modest, this unanticipated discovery suggests that there is much more room to further improve these enzymes, moving scientists closer to solving the problem of an ever-growing amount of discarded plastics that take centuries to biodegrade. The paper, “Characterization and engineering of a plastic-degrading aromatic polyesterase,” was published this week in the Proceedings of the National Academy of Sciences (PNAS). The lead authors from the research team—NREL’s Gregg Beckham, University of Portsmouth’s John McGeehan, and Lee Woodcock from the University of South Florida—were attempting to understand how PETase evolved from likely working on natural substances to digesting synthetic materials when the serendipitous discovery was made. The urgency of this work is as striking as the images pulled from recent headlines: 8 million metric tons of plastic waste, including PET bottles, enter the oceans each year, creating huge man-made islands of garbage. Experts estimate that by 2050, there will be as much waste plastic in the ocean by mass as there are fish. It’s a global environmental problem that poses a serious risk to wildlife, particularly in marine environments. Now imagine something as simple as a microbe that can degrade those plastic bottles. The good news: these organisms exist. A bacterium, Ideonella sakaiensis 201-F6, was discovered in the soil of a Japanese PET bottle recycling plant more than a year ago. The bad news: it doesn’t work fast enough to solve plastic recycling at the industrial scale. But what if the researchers could engineer the enzyme to work a hundred times or a thousand times better? NREL and the University of Portsmouth collaborated closely with a multidisciplinary research team at the Diamond Light Source in the UK, a large synchrotron that uses intense beams of X-rays 10 billion times brighter than the sun to act as a microscope powerful enough to see individual atoms. Using their beamline I23, an ultra-high-resolution 3D model of the PETase enzyme was generated in exquisite detail. With help from the computational modeling scientists at the University of South Florida and the University of Campinas in Brazil, the team discovered that PETase looks very similar to a cutinase, but it has some unusual surface features and a much more open active site. These differences indicated that PETase must have evolved in a PET-containing environment to enable the enzyme to degrade PET. To test that hypothesis, the researchers mutated the PETase active site to make it more like a cutinase. While the invention of highly durable plastics has had positive impacts for humankind’s quality of life, it’s that very durability that is causing the plastics pollution problem. The structure of PET is too crystalline to be easily broken down and while PET can be recycled, most of it is not. PET that is recycled often exhibits inferior material properties as well. In addition, PEF plastics, although bio-based, are not biodegradable, and would still end up as waste in landfills and in the seas. The work reported in PNAS was enabled by funding from NREL’s Laboratory Directed Research and Development (LDRD) program, the University of Portsmouth, and the UK’s Biotechnology and Biological Sciences Research Council. Budweiser went to the history books for its latest lager, USA Today reported on May 2. A new beer the massive brewer is rolling out this month, Freedom Reserve Red Lager, is inspired by a handwritten recipe found in George Washington’s military journal kept during the French and Indian War in 1757. Meant to celebrate U.S. veterans and American history, the red lager is made by Budweiser brewers who are also "proud veterans," the company says. Proceeds benefit Folds of Honor, a non-profit group that provides educational scholarships to military families. This is the latest marketing move by Budweiser to tap into historical notes for its beers. Two years ago, Budweiser was available in packaging labeled "America" on cans and bottles. And in October 2017, the brewery released its first Reserve Collection beer, 1933 Repeal Reserve Amber Lager, which celebrated the end of Prohibition. This second Reserve Collection beer, Freedom Reserve Red Lager, was described by Washington as a "small beer" in his journal, which is online in the Digital Public Library of America. A small beer, which typically was of lower quality and lower alcohol, would have been ideal for brewing by soldiers, the library entry notes. Washington enjoyed beer and brewed stronger, better beers at Mount Vernon, it says. Budweiser's 5.4% alcohol beer based on Washington's recipe will not be hop-heavy but will have "a rich caramel malt taste and a smooth finish with a hint of molasses," the company says in a news release announcing the beer. The beer will begin showing up at retailers this month and will be available through September or while supplies last. "We are incredibly proud of our Freedom Reserve Red Lager because it was passionately brewed by our veteran brewers who have bravely served our country,” Budweiser Vice President Ricardo Marques said in a statement. Freedom Reserve Red Lager is just one of several new recipes Budweiser has in the works to energize sales. Scheduled for release in September is another limited-edition beer, Budweiser Reserve Copper Lager, which is aged on Jim Beam bourbon barrel staves. Don't want to go out to get Bud's new beer? Bud is teaming with alcohol delivery service Drizly to give new customers $5 off their first delivery with the code "Freedom," through July 15. This is not the first time the founding fathers have served up inspiration to brewers. Blue Point Brewing Co., made its own beer from Washington’s military journal two years ago. Anheuser-Busch acquired the Patchogue, N.Y. brewery in 2014. Yards Brewing of Philadelphia has made George Washington’s Tavern Porter, which is inspired by Washington’s descriptions, since 1999. It also makes Thomas Jefferson’s Tavern Ale, based on Jefferson’s recipe of beer made at his Monticello home, and Poor Richard’s Tavern Spruce, an amber ale based on Benjamin Franklin’s original recipe. A pint of beer in an Auckland restaurant costs on average NZ$9.05 making it the equal 24th most expensive pour in the world, Stuff.co.nz reported on May 2. A survey of beer prices from Finder New Zealand looked at how much beer costs in 177 cities around the world, and the nation is paying nine times more than the cheapest. The results were compiled from cost of living sites Numbeo and Expatistan and are based on a 500ml pour of domestic beer in a restaurant. Auckland was New Zealand's representative city and the cost has been converted to New Zealand dollars. The NZ$9.05 pint was nearly double the global average, which was about NZ$4.96. Australia (Sydney, NZ$8.75), Japan (Tokyo, NZ$7.85), Canada (Toronto, NZ$8.01), South Africa (Johannesburg, NZ$2.92) were all cheaper. The cheapest beer is in Caracas, Venezuela, at NZ$1. Dearer than New Zealand were the UK (London, NZ$9.32), France (Paris, NZ$10.79) and the United States (New York, NZ$10.89). Norway (Olso, NZ$14.04) and Iceland (Reykjavik, NZ$15.59) were much dearer, but the most expensive pint of all was in Dubai, United Arab Emirates, which set you back NZ$16.80. Stuff beer columnist Michael Donaldson said having restaurant prices for the survey distorted the cost somewhat. Most people didn't pay that for a pint. "If you are in a bar somewhere in South Auckland, it's a lot different to being in a restaurant in the Viaduct. So you have to think of what's the rental, what's the cost of staff, the rates ..."
"As a rule, beer in New Zealand is relatively expensive compared to the rest of the world to start with because of the excise tax on it. That's complicated because it gets charged at the brewery, so everyone who adds their profit margin cost down the line is adding to the excise tax. "A lot of people have suggested excise should be charged at point of sale, like GST." Donaldson said New Zealand was usually cheaper than Australia, so he was surprised that Auckland topped Sydney. But he wasn't surprised that a beer in Berlin, Germany, was only NZ$5.56 a pint. "There's a thousand years of beer drinking culture for you. They are not going to tolerate high prices there. It's a different culture around consumption and by and large they are drinking traditional German styles and not the interesting, experimental range that New Zealand craft beers are." The Mozambican Tax Authority (AT) is pushing ahead with plans to impose fiscal stamps on bottled and canned beer, despite warnings from the drinks industry that the stamps may lead to a reduction, rather than an increase, in tax revenue, AllAfrica.com reported on May 2. According to a report in the May 2nd issue of the Maputo daily "Noticias", the AT will begin to test the technology next week. Currently only one company produces beer in Mozambique, CDM (Beers of Mozambique), with breweries in Maputo, Beira and Nampula. Both CDM and the association of drinks producers (ABIBA) have warned of reduced revenue, if putting fiscal stamps on the final product reduces the speed of bottling. The CDM production lines can fill between 60,000 and 120,000 bottles per hour. If adding the fiscal stamp slows down the line, then less beer will be produced, and less will be consumed. CDM points out that only four countries in the world put fiscal stamps on beer, and all of them are Muslim-majority countries. Furthermore CDM is already one of Mozambique's major taxpayers, and nobody has ever accused it of tax evasion. Last week, ABIBA predicted that, if fiscal stamps are imposed on beer, this will cut annual tax revenue from beer from eight billion to five billion meticais - a tax loss of three billion meticais (about 50 million US dollars, at current exchange rates). The AT scoffed at this prediction, and claimed that, since a digital rather than a physical stamp will be used, here will be no slow-down in production. The AT's southern regional coordinator for fiscal stamps, Rogerio Machava, insisted "this process will not cause any constraints for the operators. It was they who suggested that we use a digital stamp, and the AT is working to satisfy this request from the operators". When the digital stamp is tested next week, said Machava, the operators will see how it works, and whether it does indeed create any problems for beer production. Physical fiscal stamps have already been imposed on tobacco products and on wines and spirits, and the AT claims they have significantly increased revenue from these products. But the production process is very different, and no major problems have been found in slapping fiscal stamps on wines and spirits, most of which are imported. ENGEL is set to welcome visitors to the smart factory at Elmia Polymer 2018, Scandinavia’s biggest trade fair for plastics and rubber processing, which takes place from May 15th to 18th in Jönköping, Sweden. The injection moulding machine manufacturer and system solutions provider will present both new and firmly established products from its inject 4.0 range. Innovative process technologies for greater efficiency and quality and the new hydraulic injection units that ENGEL will be bringing to a Scandinavian trade show for the first time will also be featured over the four days of the event. Image: iQ weight control compensates for process fluctuations before rejects are produced. The intelligent assistance system is available for electric and hydraulic injection moulding machines. The ENGEL stand will revolve around the self-optimising injection moulding machine. The production of inject 4.0 logos will clearly demonstrate how the potential for efficiency and quality that Industry 4.0 offers can be maximised with minimal effort. For this purpose, the e-motion 80 TL machine is equipped and networked with intelligent assistance systems. The networking of production systems, the systematic use of machine, process and production data and the deployment of intelligent assistance systems is enhancing the productivity, efficiency, and quality of production operations. At the same time, processors can respond to requirements – which are changing ever more quickly – with maximum flexibility. At the trade fair, the injection moulding machine’s CC300 control unit will simulate fluctuations in the raw material and ambient conditions. Visitors to the event will be able to watch live as the machine identifies deviations and automatically readjusts the parameters before even a single reject moulding is produced. Three assistance systems from ENGEL’s iQ product range will be on show at the trade event. iQ weight control analyses the pressure profile during the injection process and compares measured values by means of a reference cycle. The injection profile, switchover point and the holding pressure profile are adjusted to the current conditions for every shot, which keeps the injected volume constant during the entire production run. At the same time, iQ clamp control calculates mould breathing in order to determine the ideal clamping force and adapt it automatically. iQ flow control is the latest iQ assistance system that ENGEL will be unveiling to a Scandinavian audience at Elmia Polymer. By connecting the temperature control units to the injection moulding machine, the software can regulate the rotational speed of the pumps in the temperature control units on demand. The result is much lower energy consumption and the stability of the temperature control process is also enhanced. e flomo is capable of actively controlling the temperature difference in all individual circuits and automatically setting the required flow rate for each temperature control circuit. Together with its partner HB-Therm (St. Gallen, Switzerland), ENGEL has developed a series of particularly compact temperature control units for the new integrated temperature control solution. By linking the e-temp control units to the injection moulding machine via OPC UA, the development partners have established a milestone along the road to the smart factory. The OPC UA protocol facilitates powerful, platform-independent and above all secure communication, both at shop floor level and with superordinate control systems. For this reason, it is increasingly becoming the standard for the plastics industry. The modularity of the inject 4.0 concept makes it easy for plastics processing firms to harness the opportunities presented by Industry 4.0. Even individual stand-alone solutions such as iQ assistance systems offer considerable benefits. In Jönköping, ENGEL will also present easy-to-implement solutions for networking machine parks and entire production sites as well as online support, remote maintenance and predictive maintenance products. There will be a Scandinavian launch for ENGEL’s e-connect customer platform at Elmia Polymer. Now comprehensively revised, the portal is ideally equipped to handle all current and future requirements of the smart factory. At any time and anywhere, it provides an overview of the machine status, the processing status of service and support orders and the prices and availability of spare parts. In this way, the portal simplifies and accelerates communications between processors and ENGEL as the supplier. All service products in the inject 4.0 range have been integrated with e-connect, including the new e-connect.monitor for predictive maintenance. For the first time, e-connect.monitor makes it possible to monitor the condition of critical components in injection moulding machines during current operations, and calculate their residual life. The aim is to prevent unplanned system shutdowns and minimise downtimes in the case of planned work such as the installation of spare parts. Two modules of this solution have already been introduced to the market: one for plasticising screws and the other for spindles in electrical high-performance applications. At the Expert Corner for smart production on the ENGEL stand, the focus will be on the authentig MES from the ENGEL subsidiary T.I.G. Tailored to the specific requirements of the injection moulding industry, the manufacturing execution system offers particularly deep vertical data integration to the level of individual cavities. The software ensures transparency in order to, for example, utilise the total available capacity of a machine park or correlate productivity indicators and economic objectives. Thanks to its modular structure, authentig can be adapted to the precise individual needs of processors; as it is not dependent on a specific interface, injection moulding machines of different brands can be incorporated. The new injection units will enable the ENGEL victory and ENGEL duo injection moulding machines to achieve even more impressive performance, precision and efficiency. At Elmia Polymer, ENGEL will be presenting its new generation of hydraulic injection units at a Scandinavian trade fair for the first time. Based on its many years of experience in the different fields of use of its injection moulding machines, ENGEL has restructured the sizes of the units and optimised their performance data, such as injection pressure, injection speed and plasticising capacity, for current and future requirements. This makes it possible to address the specific needs of users even more exactly in the machine design. All in all, the new units enable more precise injection and higher process stability. Control of temperature and pressure in the barrel contribute to this in equal measure. Temperature control of the feed throat was one focus of development work. The temperature control range was enlarged to safely rule out clumping in the feed zone and absorption of moisture across a wider range of materials. The new concept minimises energy losses both during heating and cooling of the feed through. The main contributor to better controllability of the pressures is the revised piston design. Furthermore, the long established ENGEL ecodrive servohydraulic has now become a standard feature of the victory and duo machines. Visitors will also be attracted to the stand by a large video wall on which ENGEL will present new developments in the area of process technologies. One focus will be on technologies capable of producing high-quality surfaces with great efficiency. The clearmelt process, for example, uses in-mould coating to produce ready-to-install trim components with very high-quality yet robust surfaces in a single work step. Polyurethane is used for surface finishing since it allows for fast changes between different colours. The integrated and fully automated DecoJect process, which combines in-mould graining and injection moulding, also cuts down on work steps. Since colour, structure and haptics are achieved through the foil, DecoJect represents an extremely cost effective way to visually enhance injection moulded parts and harmonise surfaces in vehicle interiors – even in the case of small batch sizes. The application examples on show will clearly demonstrate how innovative process technologies and integrated system solutions can meet even the most stringent quality demands while keeping unit costs competitive. New legislation brought into force sets a minimum 50 pence per unit price to tackle the damage caused by cheap, high strength alcohol. “I am extremely proud that the eyes of the world will once again be on Scotland with the introduction of this legislation. “We know we need to act now to change people’s attitudes towards alcohol and I am confident that, with the introduction of minimum unit pricing, we are moving in the right direction. Alcohol misuse costs Scotland £3.6 billion each year – that’s £900 for every adult in the country. “As a nation we drink 40 per cent more than the low risk drinking guidelines of 14 units per week for men and women. Prior to the implementation of minimum unit pricing, those 14 units could be bought for just £2.52. This is absolutely unacceptable. On April 11, 2018, Symrise inaugurated its new creative center in Pudong, Shanghai. The production facility in Nantong will also be celebrating the completion of the first construction phase. China is one of the key sales markets for the fragrance and flavoring manufacturer. Symrise has been active in the Chinese market for 36 years. The company intends to continue on its course of growth with these investments. The company will be presenting itself with a clear focus on the vast range of services and a broad variety of product innovations. BERICAP experts from all major units will be present to counsel prospective customers at Pavilion 2 of Gran Vía Barcelona Fair - Booth Nº 534 – E in the field of innovative and high-quality caps and closures. One important focus in Barcelona will be to stress the broad range of products and services BERICAP offers in the field of caps and closures. “We are pleased that we are well-known as major impulse-generating and quality-driven player in the Edible Oil market”, says Jordi Escrig, Sales and Marketing Director at BERICAP Spain. “However, the Edible Oil sector is only one of a diverse range of sectors in which we are strong”, explains Escrig. “Our aim in this exhibition is that our local sales team will be able to use the BERICAP global market knowledge to offer the best solutions to our domestic customers. We are really convinced that our sales team can actually offer added value as packaging advisors to successfully meet packaging challenges”. Experts spoke out against a proposed ban on the sale of alcoholic drinks at night during a conference on April 18, the VnExpress International reported. The proposal aims to restrict the sale of alcohol and advertising after 10 p.m. in Vietnam, excluding international airport terminals and areas designated for food, entertainment and tourism. The proposed ban would lead to binge drinking, said Dau Anh Tuan, head of the legal department at the Vietnam Chamber of Commerce and Industry (VCCI). "Some countries have approved this regulation, but it doesn't really work. We can ban labelled products, but not home brew,” Tuan said. The regulation needs to be looked at again, otherwise genuine brands might suffer while small home brew makers who don't pay tax could benefit, Tuan added. The term “areas designated for food, entertainment and tourism” in the proposal is not specifically defined, said Matt Wilson, director of foreign affairs for Heineken Vietnam LTD.
Wilson said the ban might affect big entertainment events like the annual Heineken Countdown, which attracts a lot of young people on New Year's Eve. “I think the government’s goal can be entirely achievable by self-regulatory regulations,” Wilson said, citing that 40 percent of the world’s major markets have been successful in self-regulation as they believe in the advertising industry as well as its economic benefits. The enforcement of the draft law also raised concerns at the conference. “Who will carry out this law? And will they be able to?” asked Do Van Ve, former member of the 13th National Assembly. Ve said he was worried that with too many regulations that aren't actually enforced, people will start taking the law for granted. Other experts at the meeting also said that a ban on alcoholic drinks advertisements was not in line with the Advertisement Law, which would eventually confuse people as they wouldn’t know which laws to follow. The draft law, proposed by the health ministry, aims to prevent the adverse effects of alcoholic drinks with a volume of greater than 15 percent, which are widely consumed in Vietnam, a country famous for its beer drinking culture. 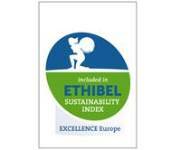 The Ethibel Sustainability Index (ESI) Europe has reaffirmed Symrise as a sustainable company. The fragrance and flavoring manufacturer from Holzminden impressed the international sustainability experts of the Belgian nonprofit organization “Forum Ethibel” once again with its commitment. The index includes 200 companies from throughout Europe. Symrise racked up points in all four reviewed categories. These include internal social policy, environmental policy, external social policy and ethical-economical policy. The index uses data from Vigeo Eiris, a leading European sustainability rating agency, which evaluates companies, countries and public institutes according to a catalog of criteria. The index is reviewed twice a year based on this data and adjusted as needed. How Symrise drives sustainable activity successfully is detailed in the recently published Corporate Report “Unfolding Strengths.” By last year, the company had already reached its objective of reducing its carbon emissions in relation to value added from 2010 to 2020 by one third. Symrise has also achieved palpable success once again in other key figures, such as the reduction of sensitive waste and increased resource efficiency. KHS USA, Inc. will be presenting its compact, efficient systems at this year’s BrewExpo America® which is staged as part of the Craft Brewers Conference. The machinery has been specially designed for small and medium-sized breweries, with operators profiting from the tried-and-tested technology of the system supplier’s high-performance plant equipment. The trade show focus will be on the Innofill Can C (photo), a compact volumetric can filler which outputs 10,000 to 40,000 cans per hour. KHS will be exhibiting at Booth #1044 from May 1–3, 2018. Craft beer continues to triumph worldwide, with the United States pioneers in this sector. KHS USA, Inc. has provided brewers with systems tailored to their specific requirements since the very start of the craft beer movement. Thanks to its 150 years of experience and established high-performance filling and packaging technology the manufacturer is able to satisfy the special demands made of quality and reliability in this field. The CombiKeg R5 processes kegs with a volume of between seven and 58 liters – from internal and external washing through filling to conveying and on-board media tanks. It is therefore not just suitable for beer but also for soft drinks and wine. For breweries which require a compact, semi-automatic system, keg washing and filling technology is available in the form of the Innokeg AF1-C1 which outputs up to 35 returnable and non-returnable kegs every 60 minutes. The filling and packaging technology specialist will also be exhibiting its Innofill Can C at the upcoming trade show; this produces between 10,000 and 40,000 volumetrically filled cans an hour. The compact combination of filler and seamer is manufactured as a plug-and-produce system at the local KHS factory and can thus be commissioned without the need for elaborate installation. In addition to its show exhibits the KHS portfolio includes further machines for the reliable and flexible filling and packaging of beer and other beverages. The flexible Innofill Can DVD can filler for up to 132,000 cans per hour is just one of many examples. A dense network of local KHS employees ensures that the machinery is appropriately serviced and maintained. Once the undisputed kings of beer in the US, AB InBev and MillerCoors are struggling to curtail a multi-year slump in sales of their top brands and re-energize brews that have failed to keep pace with changing consumer tastes and trends, Food Dive reported on April 26. "If you could go back in a time machine you would say, 'Shoot, I wish back then that we had started to follow those trends that were growing,' ...but we recognize it now and we're fixing it," Greg Butler, vice president of Miller Brands at MillerCoors, told Food Dive. "We held on to the equation for too long." The major beer producers are facing threats on several fronts as Americans move away from domestic lagers in favor of Mexican imports, craft beers and wine and spirits. A growing number of consumers are also turning to low-calorie and no- or low-alcohol brews as part of a broader health and wellness trend sweeping the food and beverage industry. Despite a host of new products tied to these preferences and trends, the big players in U.S. beer continue to struggle to curtail slumping sales and stem the loss in market share. Total beer shipments declined 1.3% in 2017, led by sharp drops among flagship products including Budweiser (-6.8%), Coors Light (-4.1%), Miller Lite (-2.8%) and the most popular U.S. brand, Bud Light (-5.7%). But while the market-leading beers are still providing lucrative sources of revenue and product volume for their owners, manufacturers are not oblivious to the fact that for the industry — and their bottom lines — to rebound, they need to reinvent these beverages, giving consumers more reasons to drink them instead of competitors. "If we can't get our big legacy brand stabilized, the math just doesn't work," Butler told attendees at the Beverage Forum in Chicago, noting a 1% drop in Coors Light requires a 12% increase in the company's Blue Moon brand to offset the decline. "The thing we always hear across CPGs is, 'How do you rebuild a legacy brand from a different generation for today's generation, especially when consumer needs are changing, and what consumers are looking for are changing?' "
The major beer manufactures have expanded their presence in many of the trends impacting the industry through acquisitions and internal innovation. Executives at the AB InBev, the world's largest brewer, have gobbled up craft breweries in recent years — including Wicked Weed, Devils Backbone and Karbach Brewing. They've worked to position Stella Artois as a premium brand; introduced Bud Light Orange flavored with real orange peels, and partnered with Jim Beam to create a limited-edition beverage aged in bourbon barrel staves called Budweiser Reserve Copper Lager. And AB InBev has continued to benefit from growth in its Michelob Ultra brand, a pricier, low-calorie beer that has boosted sales annually since 2011. With a 21% increase a year ago, it's the fastest-growing beer in the country during the last few years — showing if the product meets the needs of the consumer, sales will follow. AB InBev recently expanded the brand by adding 7-ounce bottles to attract more weeknight consumption and introduced Michelob Ultra Pure Gold, which is made with organic grains and has slightly fewer calories and carbs than the original. For its part, MillerCoors introduced a new light beer called Two Hats in lime and pineapple flavors. It has a tagline of "Good, Cheap Beer" and quirky ads to appeal to millennial drinkers who are less status conscious and more budget conscious. Molson Coors, which owns MillerCoors, also has added craft players to its lineup and expanded its reach into other beverages after purchasing Aspall Cider, a nearly 300-year-old maker of premium ciders and specialty vinegars. So far, MillerCoors and AB InBev have struggled to generate meaningful consumer traction from these and other investments. AB InBev's volume share of the U.S. beer market, by far its largest, has fallen from 49.8% in 2009 to 41.5% a year ago. MillerCoors has seen its position erode during the same period to 25%, a drop of 5.1%, according to trade group data. Doukeris expressed concern about the company's recent struggles and loss of market share, but was confident the steps it is taking are positioning it for future growth. Brian Sudano, a managing partner with the Beverage Marketing Corporation, said at the Beverage Forum that AB InBev's focus on health and wellness — and commitment to have 20% of its sales volume coming from its low- or no-alcohol portfolio by 2025 — were among the signs that the beer giant is on the right track. “There are a lot of things going on that point to a competitor that is starting to gain their footing,” Sudano said at the conference. Analysts speaking at the Beverage Forum applauded the job Constellation Brands has done marketing its Mexican brands — including Corona and Modelo Especial — to stand out from its competitors and give people a reason to pay up for the products. Constellation, which controls 90% of the premium beer market, posted robust volume growth of 8.9% in 2017, its fourth straight year leading the industry. Paul Hetterich, president of Constellation's beer division, said the company's success isn't so much tied to its Mexican beers, but is about the steps it has taken to establish them as premium brands attractive to the consumer. The company hasn't overhauled its label, formula or how it markets the products. It only recently launched a new higher-priced, low-calorie light beer called Corona Premier — its first new Corona-branded product in 29 years. Even craft beer, which rose 5% in 2017, is starting to experience its share of growing pains as the industry and its estimated 6,000 players mature. Some craft breweries have experienced a drop in sales as more competitors enter the segment and deep-pocketed megabrewers muscle themselves into the space. The shakeout is proving to be especially damaging to the major beer companies who have collectively spent billions to boost their craft portfolios, only to find that growing these brands beyond their core markets can be difficult as consumers demand more locally made products. In a study released at the conference, the Beverage Marketing Corporation found 60% of 3,900 bartenders surveyed said a beer was not craft if it was owned by a big brewery, mass produced or had no local connection. This could have long-term implications because bartenders may be less inclined to sell or recommend a beer owned by a major brewery if they don't believe it's craft. “This creates another set of issues, which makes it difficult for the major brewers to extend craft beers beyond the local market and that might be behind some of the challenges we see,” Sudano said. In an interview, Miller Brands' Butler echoed a common theme repeated by beer executives who spoke at the Beverage Forum. Consumers have an increasingly wide array of beverages to choose from — including thousands of beers ranging from craft to the flagship macrobrews. They need to be given reasons to want the product, whether that's through meaningful marketing or specific attributes of the brand. "Consumers do care about their beer and what they're drinking," he said. "Choice is important and you have to have a compelling difference and you have to stand for something. For us, it's simply can we offer a better value proposition in our portfolio to" grow? Mexican beer Corona is the most valuable brand in Latin America, overtaking Brazil's Skol, which has held the title for the past two years, according to the sixth-annual BrandZ™ Top 50 Most Valuable Latin American Brands announced on April 27 by WPP with data prepared by Kantar. Corona took the top spot in the ranking after seeing an 8% brand value growth to $8.292 billion, edging out Skol, which grew by just 1% to $8.263 bln. The brand is sold in more than 180 countries and its success and global growth have been helped by Corona's ability to generate an affiliation with the "fun-loving" attributes associated with Mexican and Latin culture. The overall Latin America Top 10 ranking is mainly represented by beer (four brands – Corona, Skol, Brahma, and Aguila), followed by financial institutions (two brands), retail (two brands) and communications providers (one brand). Over the years the beer segment has been dominant in this ranking, but this year, four beer brands are present in the Top 10, rather than five. In addition, brands in the financial institutions category have achieved their best positions in the Top 10 since 2012. The four beer brands in the Top 10 this year together posted a 5 percent increase in their combined brand value compared with 2017. Beleaguered Vijay Mallya may be embroiled in controversies but Kingfisher Beer brand, owned by Mallya-promoted United Breweries, continues to top the most trusted alcoholic beverage brands list, the Business Standard reported on April 18. As per the Brand Trust Report 2018, Kingfisher Beer, Black Dog and Budweiser are the top three most trusted alcoholic beverage brands. Kingfisher Beer has maintained its leadership position ...and remain the unmitigated leader for the last eight years of the Brand Trust Report, TRA Research CEO N Chandramouli said. Kingfisher is the flagship brand of United Breweries Ltd. In August last year, United Breweries announced its Chairman Vijay Mallya had ceased to be director of the company following market regulator Sebi's order against him. Mallya, who had fled to the UK in March 2016, is also wanted in India for Kingfisher Airlines' default on loans worth nearly Rs 9,000 crore and some other matters. Royal Stag, Signature, Johnnie Walker ranked number four, five and six, respectively. Carlsberg, Blenders Pride, Tuborg and Imperial Blue are the other brand which figure in the top 10 list. As per the latest brand trust report, South Korean consumer durables firm Samsung, followed by Sony and LG are India's most trusted brand. Tata Group, the only Indian company to feature in the top five and US-based Apple occupy the fourth and the fifth ranking. Among India's 1,000 Most Trusted brands, the categories with the maximum brands were food and beverage and FMCG contributing to 25.6 per cent of the total brands in the listings. When compared to last year, 320 new brands made it to the list, 368 brands fell in rank, 307 brands rose in rank, and five brands retained their ranks, it said. The Roy Morgan Alcohol Currency Report has found that 69.3 per cent of Australians aged 18 and over drink alcohol in an average four-week period, the Food Magazine reported on April 12. According to the report, of all Australians 18+ years old, 44.5 per cent consume wine, 39.1 per cent consume beer, 27.5 per cent consume spirits, and 13.6 per cent consume cider. When looking at drinkers by gender, men are the predominant consumers of alcohol, with 74 per cent consuming alcohol in an average four-week period, compared to 65 per cent of women. Women had the highest incidence of wine consumption, with nearly 50 per cent of all women drinking wine in an average 4 weeks compared to 39 per cent of men. Wine skews to older drinkers, with the highest incidence among 50+ and 35-49 year olds. In contrast, beer is consumed by 59 per cent of men in an average 4 weeks, compared to only 20 per cent of women. Beer is fairly constant across age, increasing slightly from 18-49, but declines for the 50+ age group. Cider is fairly evenly split between the genders with a slight skew towards women, but it is heavily skewed to younger Australians compared to old, with 27 per cent of 18-24 year olds consuming cider in an average four weeks compared to 7.8 per cent of 50+. In Australia, 128.8 million glasses of alcohol were consumed by 11.6 million drinkers in an average seven-day period in 2017. Beer has the highest Share of Throat across Australia, accounting for 44 per cent of all alcohol volume consumed by drinkers, compared to wine at 32 per cent. And while cider has experienced an increase in popularity over the last decade, it still represents only 3.3 per cent of all alcoholic volume. “While wine is the most popular choice of alcoholic drink among Australians, it’s interesting to note the largest volume of alcohol is beer, representing 44 per cent of all alcohol in a 12 month period. There has been a decline in alcohol consumption among men, who in the last five years have gone from 76.5 per cent consuming alcohol to 73.9 per cent in an average four week period,” said Michele Levine, CEO, Roy Morgan. The Bralima brewery in Kinshasa, the capital of the Democratic Republic of Congo (DRC), is an island of modernity in a city where chaos is the norm. Inside a building near the docks where barges begin the journey up the Congo river, conveyor belts rattle as thousands of glass bottles are washed and filled with amber liquid. A generator hums to power the new brewing machinery, creating enough booze to fill 28,000 crates every two days, The Economist reported on April 19. Yet the real achievement of Bralima, which is owned by Heineken, a Dutch brewer, is not making the beer. It is what happens when it leaves the factory. Congo is one of the worst-connected, most dysfunctional countries on Earth. Four times the size of France, it has almost no all-weather roads. In large parts of eastern DRC, the state is a fiction and rebels control the roads. Yet there is scarcely a village where it is impossible to get a beer. Bralima was founded in 1923. Its main competitors, Bracongo and Brasimba, both owned by Castel, a secretive French family firm that operates across Africa, have been there almost as long. They are among the only surviving companies from the colonial era. By his fall, and the start of the first Congo war in 1997, Mobutu Sese Seko, Congo’s flamboyant post-independence dictator, had looted almost everything else. Today Congo is falling back into conflict. Can the industry survive? And what can other companies learn from it about doing business in such a trouble spot? Almost every other processed food in Congo is imported. Milk is brought in from France. But beer is patently local. Bralima, including its sales and the production of its raw materials, accounts for 2% of GDP, reckons its boss, Rene Kruijt. That is far less than mining, which makes up 22% of output. But with about 2,500 workers, the firm claims it is the biggest private-sector employer in the country. Primus, its main brand, labelled in the light blue and gold of the national flag, is “a source of national pride”, says Mr Kruijt, not implausibly. Castel’s operations may be as large. The two compete fiercely. David Van Reybrouck, a historian of Congo, records how just a few years after a peace agreement in 2003, Bralima was instructing its marketeers to fight a war for business. During the worst of the fighting itself, the real war and the war for business were arguably intertwined. Some even talk about “conflict beer”, on the same lines as conflict minerals. In 2013, when M23, a new rebel movement, emerged, two academics, Jason Miklian and Peer Schouten, estimated that third-party truckers selling Bralima’s beer might have been making payments to rebel groups of as much as $1 mln a year. Today, no large towns are rebel-controlled but the work is almost as difficult. In 2012 Castel opened a brewery in Beni, a small city in the north-east of the country, at a cost of $125 mln. A year later, Beni suffered the first of dozens of massacres that have killed up to 1,000 people over the past five years. The roads out of the city are among the least secure in the world. Nonetheless, Tembo and Skol—Castel’s brands—are sent from Beni to markets far and wide. Even moving in the peaceful parts of the country is expensive. Travelling 1,000 km can take a lorry three weeks, at a cost of thousands of dollars. Producing beer in the DRC is also pricey. Heineken estimates that the cost of water alone is five times that in neighbouring Congo-Brazzaville. Even in Kinshasa, electricity is unreliable, making the Bralima generator—big enough to power a small cruise liner—necessary. They in turn have to be fuelled with imported fuel. And then there are the taxes and shakedowns. Yet the companies also have impressive marketing and distribution operations. Beer companies in Congo are huge sponsors of music (so too are mobile-phone companies). The most popular stars can command large sums in exchange for endorsing Primus or Tembo—so much so that it has corrupted Congolese musicians, complains Lexxus Legal, a rapper. Meanwhile, the firms’ distribution networks are unparalleled. On the Congo river, barges operated by Bralima are among the only vessels left operating a regular schedule. Outside of the big cities, distribution is outsourced—presumably to people able to limit the extortion. Can it last? In February, Heineken declared a €286 mln ($353 mln) impairment loss for 2016 in Congo, after closing down two of its factories. In western Congo, Angolan beer in cans—less tasty but cheaper than Primus or Tembo—has flooded the market. It is not sold at cost since the smugglers’ main aim is to acquire dollars to trade on the black market in Angola. In the east, as Joseph Kabila, Congo’s president since 2001, refuses to leave office, the violence is worsening. In South Sudan, another conflict-ridden failed state, the only brewery was forced to close in 2016. The South Sudanese now drink beer imported from Uganda and Kenya. But in all likelihood, brewing in Congo will survive. Without Primus or Tembo, Congo would hardly be the same place. Even in wartime, the music plays—and who can listen to rumba without a beer? In many tropical countries, particularly in Asia, small water beakers made of PET are in widespread use. Sealed with a removable film/foil, they supply the on-the-go market for a quick thirst-quencher betweentimes. Airlines, too, like using these non-returnable beakers. Krones has now developed an attractive and practical alternative: a flexible, reclosable small lightweight bottle. The droplet-shaped PET bottle holds 200 millilitres, and with a weight of just 4.4 grams is extremely light. It can be produced using a standard blow-moulding machine that is also suitable for lightweight formats. Moreover, the container offers an option for pressurising it with nitrogen after filling, thus stabilising it for storage and transportation. In terms of dress, too, the PET bottle offers abundant design versatility: different labelling processes enable different designs to be achieved. This means the beverage producers can market the bottle in different price segments and retailing structures. Not only is the droplet shape an eye-catcher, its geometry additionally stabilises the lightweight bottle. The container features a 26/22 neck finish typical for water bottles, and can be closed with a normal screw-cap. At the drinktec 2017, Krones showcased more than 2,000 of these small PET containers on a large illuminated wall. During the fair, and afterwards as well, there were numerous conversations and inquiries concerning this development project. They show that there is keen interest in replacing the widely used water beakers by a more attractive and easy-to-handle variant. The small, droplet-shaped PET bottle has been developed by Krones’ Packaging Development and Consulting Department. This unit creates innovative packaging designs and assists clients in translating an idea for a container/pack concept into technically feasible, marketable reality. Krones’ experts offer customised solutions, e.g. on the basis of finite-element analysis, or material-specific consultancy for complex packaging projects.